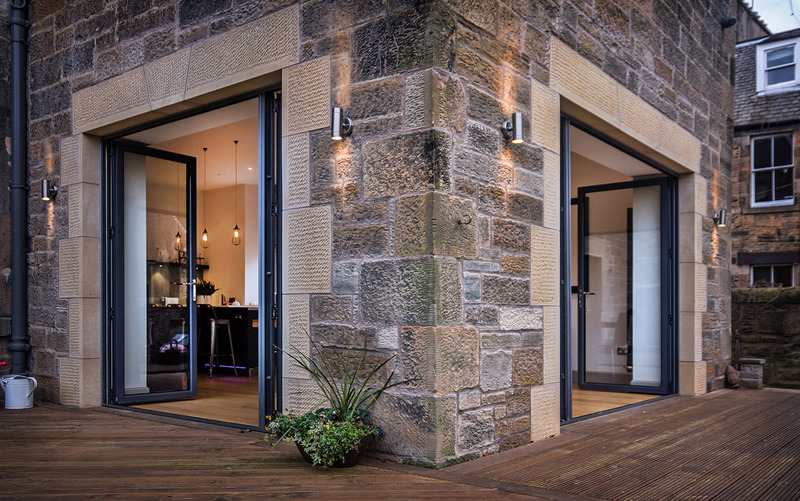 This beautiful traditional stone built detached Georgian property in Edinburgh is home to Gavin and Lynne Neilson and their two children. The Neilson's were combining several small rooms into one large family space. 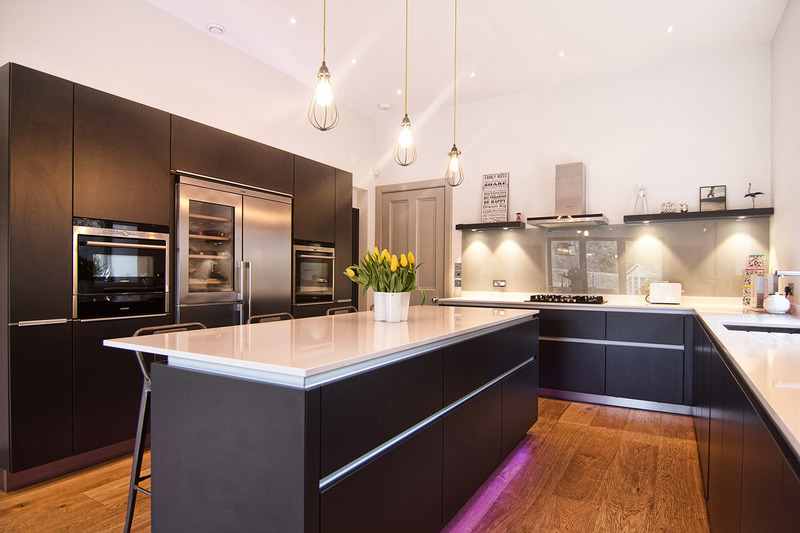 A contemporary and practical kitchen was required which is easily maintained with easy access pull out drawer storage and a sociable space for informal dining and gatherings. We created a contemporary feel with the use of a soft grey tones and retro accents using Leicht handleless furniture in a matt finish with stainless steel plinth. 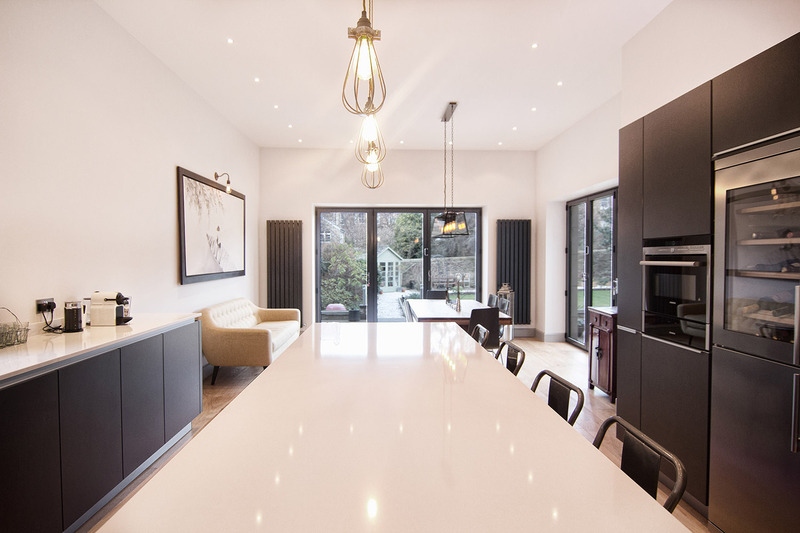 Stone work surfaces and glass back panels were also incorporated to complete the look. 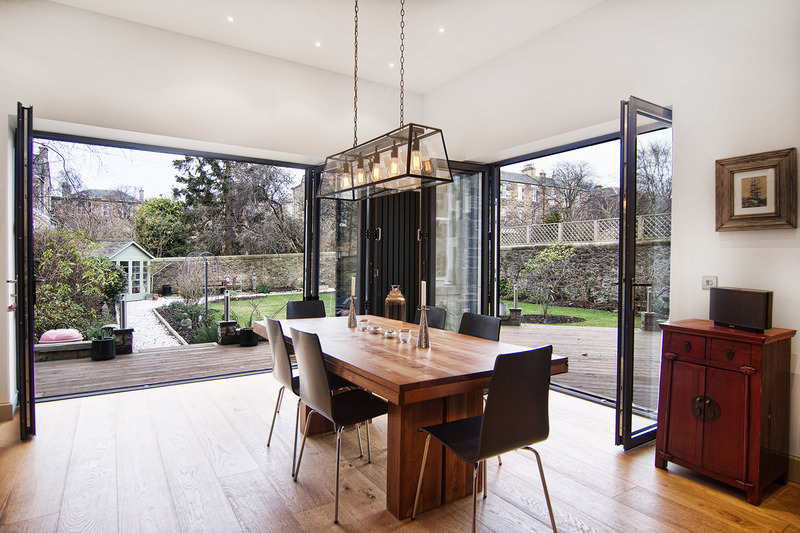 The expanse of glass to the rear wall reflects the garden and helps heighten the sense of space. 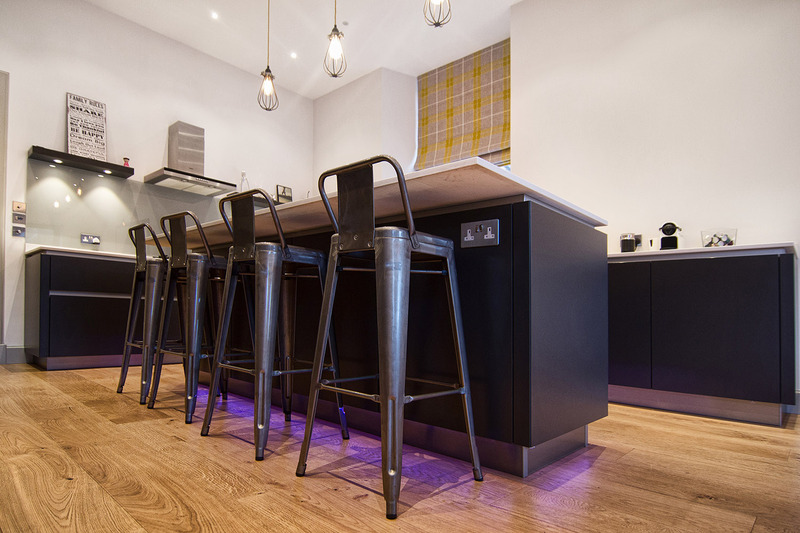 The central island offers a sociable area for friends and family to congregate as well as offering a flexible work area for food preparation and plating up at mealtimes. 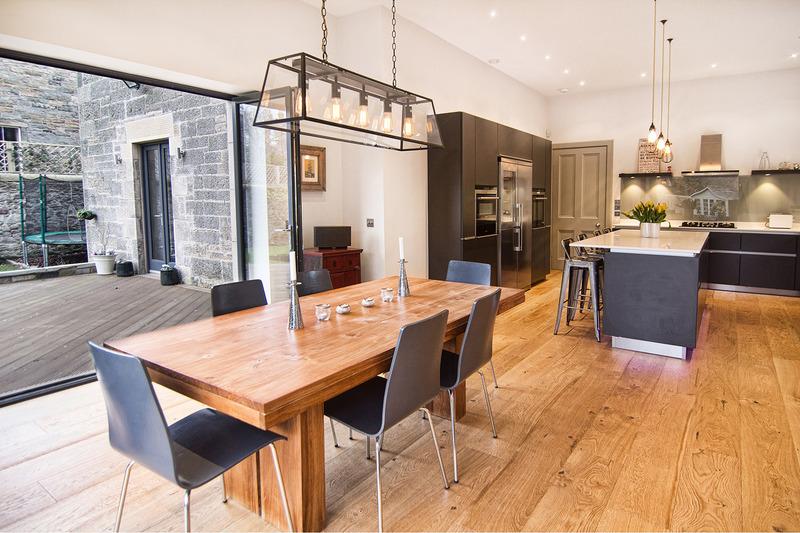 The contemporary look and style of the kitchen contrasts well with the traditional building and adds an excellent addition to the house. 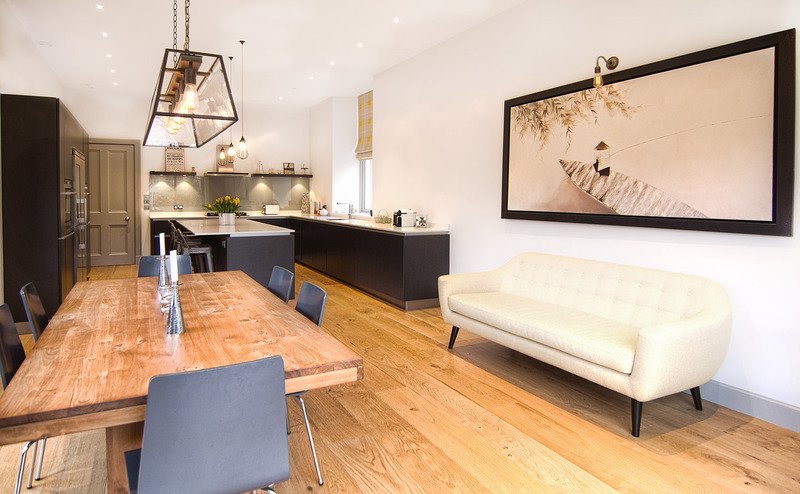 “We love the new space; the kitchen has become the main hub of the home where we can relax together. 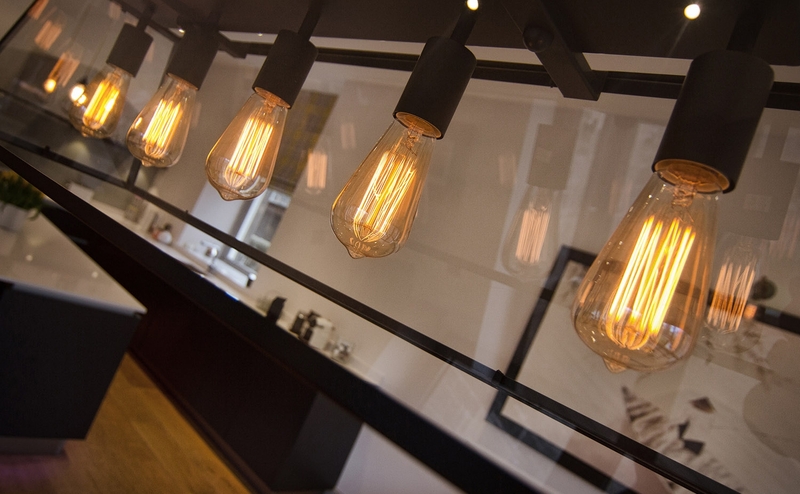 We were amazed by the professionalism of the whole team from design to install – we would definitely recommend KI to our family and friends”.